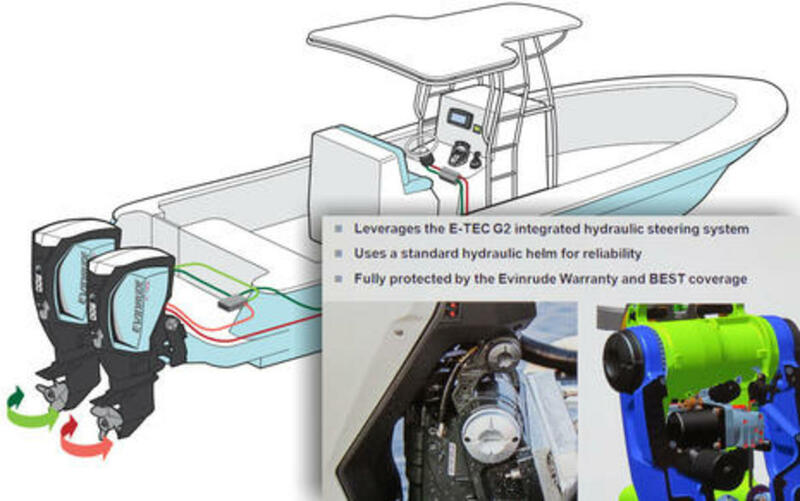 What&apos;s significantly different about iDock is that all E-TEC G2 outboards already have hydraulic steering built in, as well as digital shift and throttle. 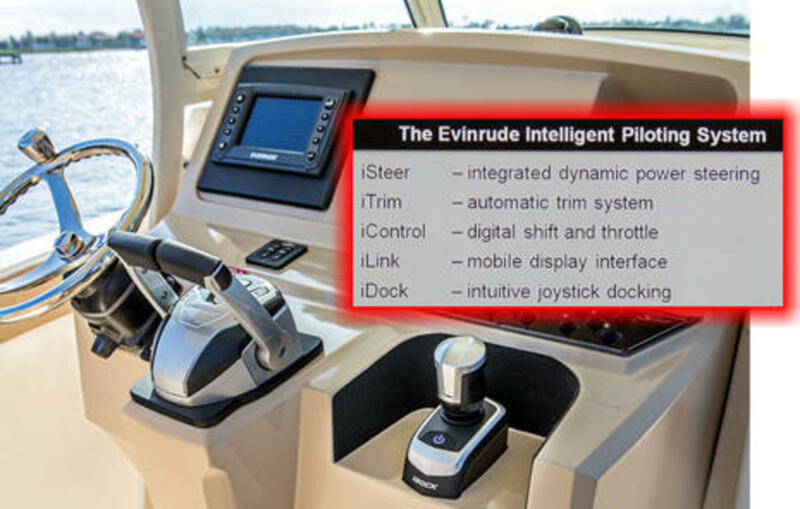 So the "All-New Evinrude iDock" system requires little more than the joystick itself and a couple of small control modules, and it only costs $5,999. 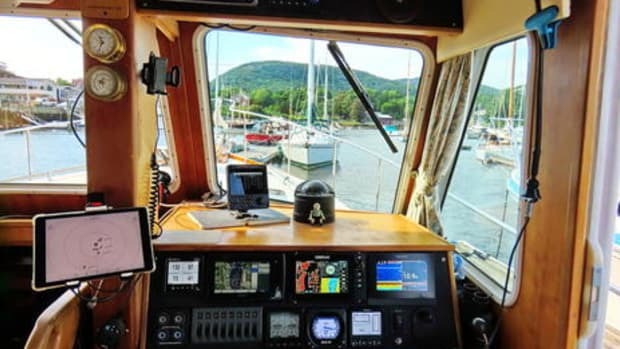 There are already perfectly good outboard joystick systems out there -- like the SeaStar Optimus 360 I tried in 2012 -- but they involve a lot more parts and costs more in the $14,000 and up range. 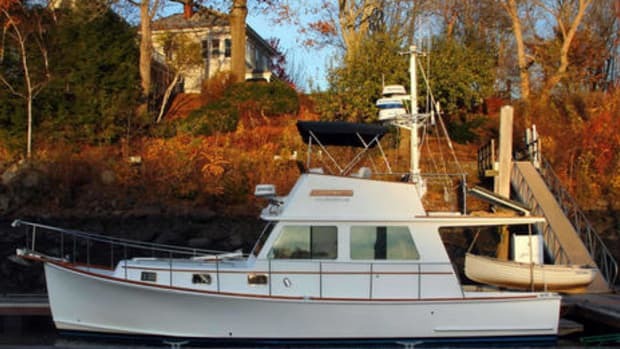 The iDock also works with a boat&apos;s existing hydraulic wheel instead of requiring an electric wheel, which purportedly ensures that you&apos;ll be able to turn the motors even if the steering electronics fail. The latter seems fairly unlikely, however, as the components communicate over redundant private CANbus and NMEA 2000 networks. And while iDock lacks several advanced control features like the Heading and Position Hold options SeaStar recently added, apparently they may come with future updates along with joystick control of more than two E-TEC G2&apos;s.
In early May a gaggle of boating writers got to try iDock in Florida on both the Scout 255 LXF center console above and on a sizable pontoon boat. I was impressed. Using iDock was a gentle, quiet experience capable of making complex manuevers look casual, even elegant. And, if needed, extra boost (and noise) is right at hand with just a bit more pressure to push the stick beyond a detent. 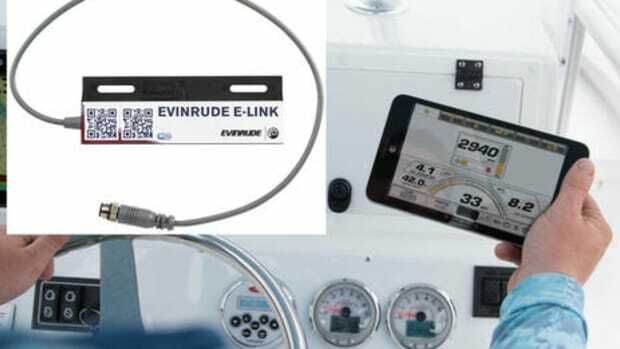 With iDock you can theoretically rotate the boat while also going ahead or sideways, or even all three at once, but that can be a lot to ask of even two very smartly-controlled outboards, especially given the windy day we had. 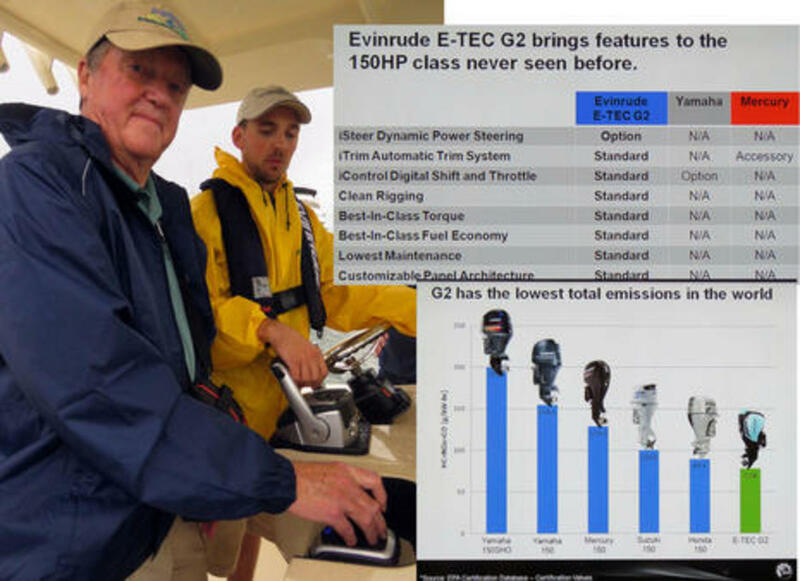 Evinrude engineer Sam McGinley -- two years on the project and looking a bit concerned about my boat handling above -- showed us that a step-by-step approach works well. 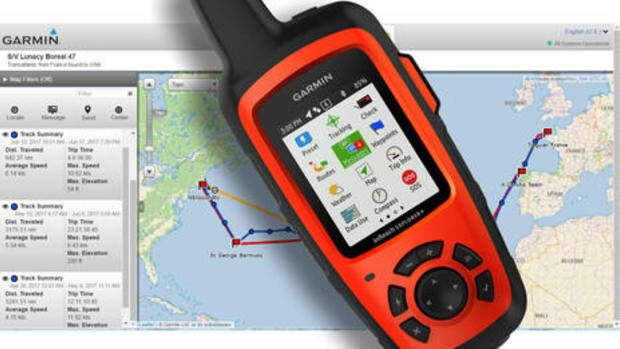 Particularly slick is how the built-in gyro can solidly maintain the boat&apos;s heading while you simply go sideways or backwards into a tight spot. You can see some of what I mean in this iDock marketing video, and hopefully there will be lots more demo and user videos to come. 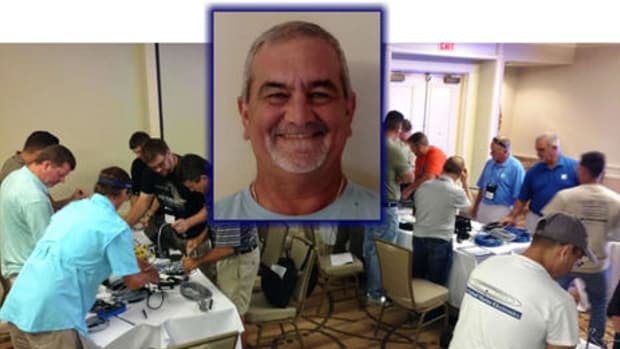 Last year I got to try numerous Evinrude E-Tec outboards (as well as Rotax marine jet propulsion) in Wisconsin, and while I focused my entry on the nifty E-Link interface apps, I&apos;ve become quite a fan of BRP&apos;s multi-market engineering resources and overall innovative style. To me iDock looks like a nice cherry on top of a remarkably clean and modern outboard design. 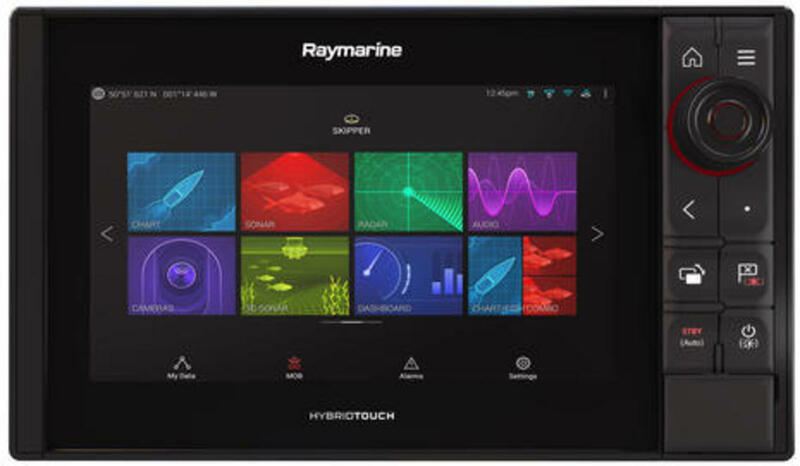 Also announced today were Raymarine&apos;s Axiom Pro 9-, 12-, and 16-inch multifunction display series. BAM! A commenter on Panbo&apos;s original Axiom entry suggested that the hybrid Pro series would eventually join the all-touch originals, but I didn&apos;t think we&apos;d see the details so soon. Note, though, that delivery dates are not yet specified, and that may be because of the delayed features discussed in this recent Axiom hand&apos;s-on followup. That said, it&apos;s exciting see where the Axiom hardware platform and the LightHouse 3 operating system are headed. All Axiom Pros include CHIRP sonar, and I don&apos;t think you&apos;re paying much if you don&apos;t use the single high channel variety in the Pro S model. 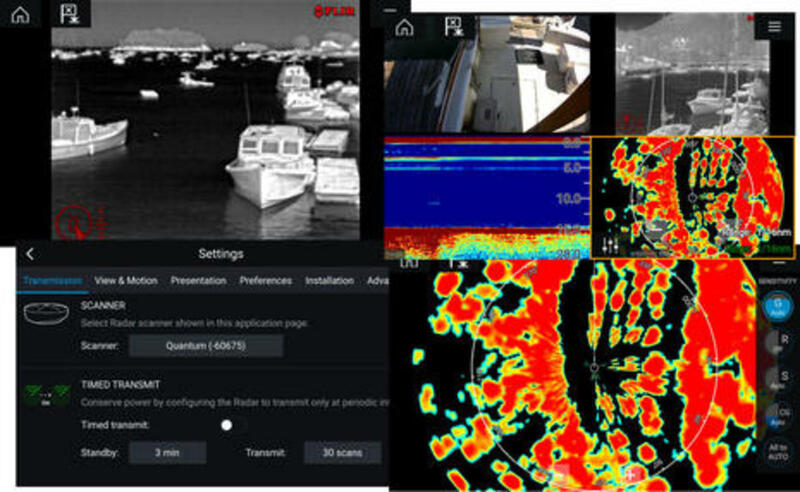 But the Pro RVX models not only include all the RealVision 3D, SideVision, and DownVision seen in the top-of-the-line Axiom RV displays, but also 1kW CHIRP able to use low, medium, or high transducers and purportedly capable of imaging "bait, fish, thermoclines and more at depths to 5,000 feet." More differentiation from the regular Axiom series: The Pros can run on 24v as well as 12v, and each has two RayNet ports. 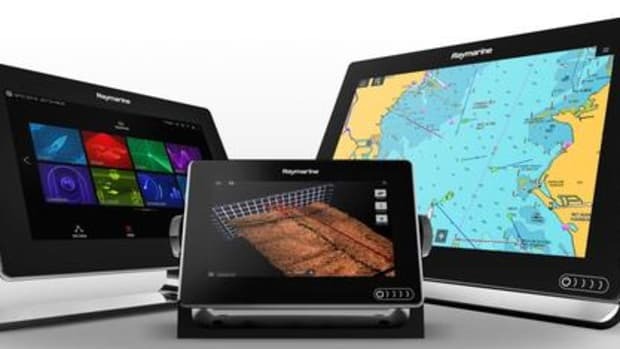 The latter means that a center console could run two Pros, radar, tons of sonar, and still have room for a camera without adding a network switch. But, then again, the Pros can not only run eight IP cameras, they can also encode analog camera input so that it too networks. They also support Miracast wireless video streaming to smart TV&apos;s and monitors. Moreover, I was pleased to notice that Axiom Pros will eventually be compatible with CZone as well as Empirbus digital switching. But not so happy to see that the only specific audio system compatibility mentioned is with Rockford Fosgate. Their stereos are fine as far as I know, but this is another indication that something is amiss right now with standardized N2K stereo control. Of course the Axiom Pro models, like this 9-inch, will have buttons and knobs in addition to touch controls (though you&apos;ll also be able to add remote keypads to any Axiom). The combination rotary knob and cursor control looks exactly like the one on the eS Series the Pros may eventually replace, and that&apos;s a good thing as this is a very accurate and capable knob, at least to my feel. 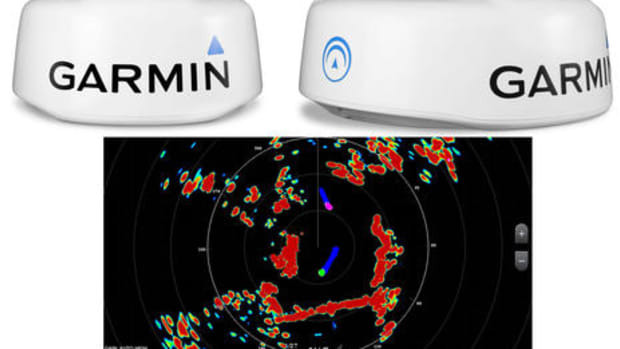 But that "dot" button below right of the knob is a new one offering a custom command of your choice, which is a good idea first seen on the Simrad evo3 and B&G Zeus3 series (I think). I&apos;m guessing that some readers who have already purchased Axiom MFDs will respond negatively to the Pro news, as in "What the hey, they haven&apos;t even delivered what they originally promised yet!" I certainly won&apos;t argue, but this is a major hardware/software rollout we&apos;re seeing, and that&apos;s not easy. 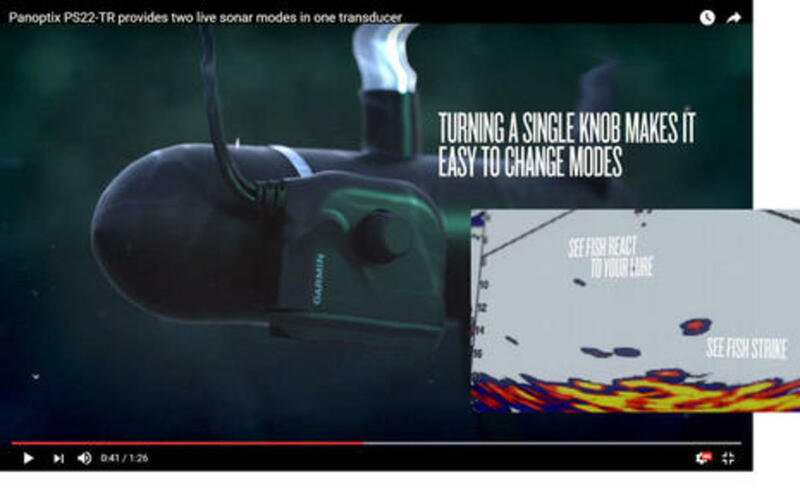 Speaking of ICAST 2017, Garmin also spoke up this morning, announcing the Panoptix PS22-TR transducer that clamps to a trolling motor and can be manually turned to provide either LiveVü Forward or Down scanning modes (video here). 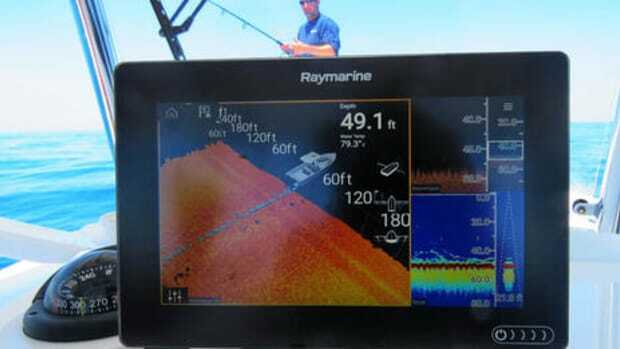 When I first saw Panoptix demoed in early 2015, I thought it quite neat how you could sit in a drifting boat and use the trolling motor steering control to scan around to see fish and structure in real time. The PS22-TR seems to increase the flexibility of that use at a lower price (though without the wider beam angle and RealVü mode of the PS31 transducer). I&apos;ll add that I&apos;ve seen some interesting LiveVü Forward imagery coming from the similar Panoptix PS51-TH thru-hull now installed on Gizmo, which also has a FrontVü grounding avoidance mode. 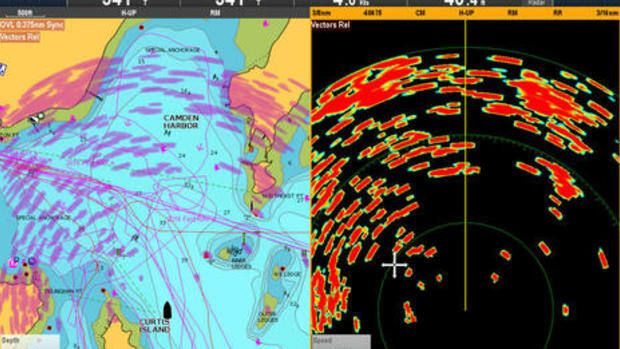 The next Panbo entry will attempt to explain why my underway testing got delayed but how it&apos;s going to get busy.